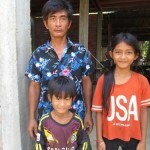 For the first time in his life, the father of the HMR family has sufficient, affordable water near his home. 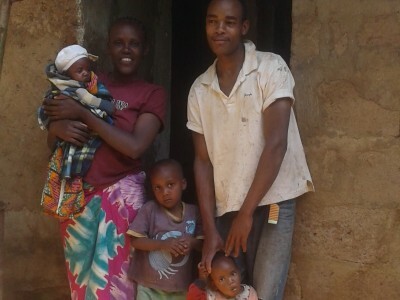 He was born in Mkyashi 31 years ago, and this is the first time that water is not the most limiting factor he considers when selecting projects to improve life for his family. 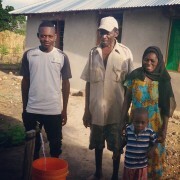 Mr. HMR estimates that for as long as he has been able to walk he has been making 5-7 trips to the spring each day to fetch water. He got married in 2011 and this month he had his third child. 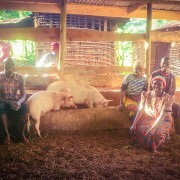 Now the family uses an average of 10 buckets per day for cooking, cleaning, and agriculture. Mr. HMR and his wife used take turns going to the spring. Water never used up much of their budget because they fetched it themselves, but it took up a tremendous amount of their time and energy. 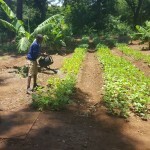 In July 2017 a group of students from Parmiters School extended the Mkyashi Water Project by adding another mainline and two public distribution points. One of the distribution points is near the HMR family’s home. The family had been saving money for a long time, thinking about how they could invest. 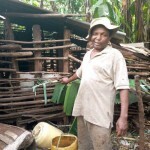 Without water access, everything seemed like it was either too expensive or too much work. 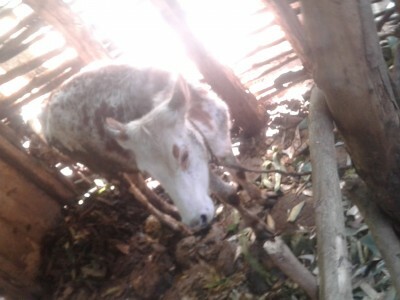 As soon as the waterline was installed, the family purchased a new calf. 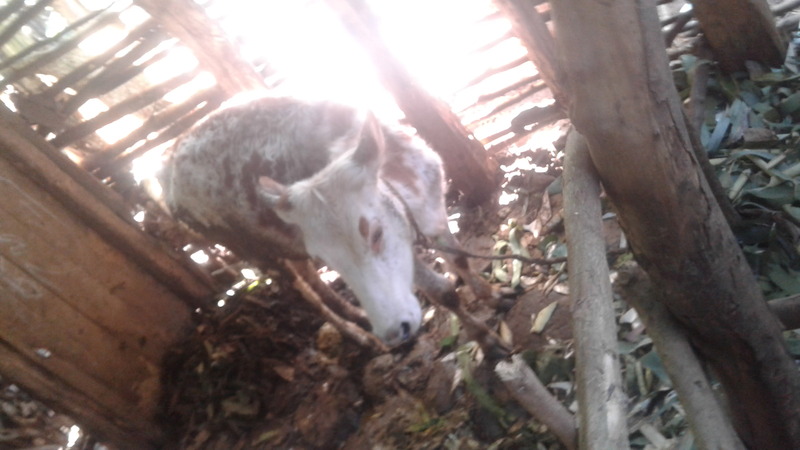 Now, the family is hoping to get a second cow and continue getting more cows for milk and meat. They are also planning to open an organic vegetable garden with the Lishe Bora Garden Shop. In addition to giving them time, improved water access is giving them energy and enthusiasm to start viewing their future optimistically. 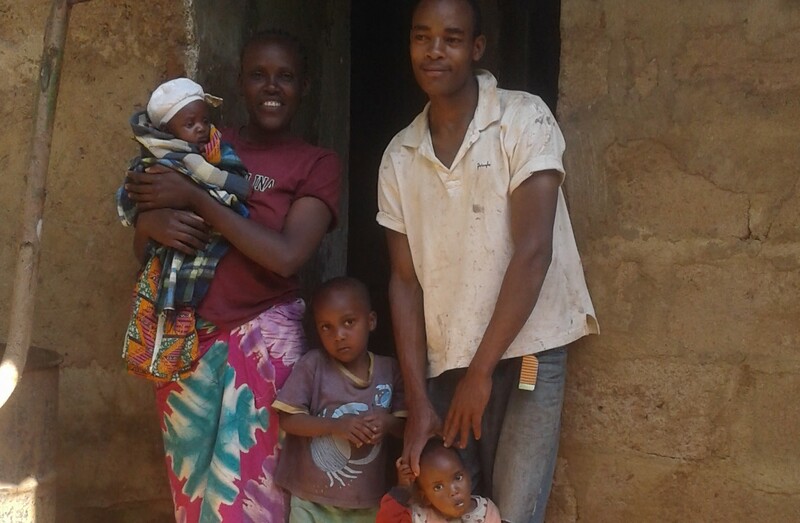 Now that he has a 5 year old, a 1 year old, and a new born Mr. HMR is grateful that his children will be able to build their lives on a more solid foundation than he had. His oldest son, Valerian started kindergarten this year.